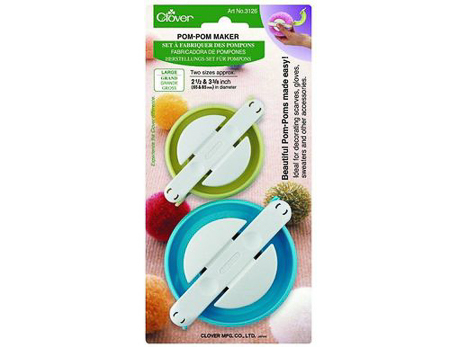 I am giving away a free Clover Pom-Pom Maker when my “Crafty Husky” Facebook site reaches 500 likes. If you would would like to participate, just go to:https://www.facebook.com/Crafty-Husky-330060947190258 and like my page. The winner will be sent a message through Facebook. The winner will have 1 week to get back to me to let know where you would like it shipped. If not, I will choose another winner. I plan to do several prizes through out next year as well. I hope all of you crocheters like my site and various posts. is it too late to enter the pom pom giveaway? No, it is not too late. When my Facebook page reaches 500 likes a winner will randomly be chosen.